Electron beam melting (EBM) is a metal additive manufacturing technology that uses an electron beam to melt layers of metal powder. First introduced in 1997 by Swedish company Arcam, EBM is ideal for manufacturing lightweight, durable and dense end parts. The technology is primarily used within the aerospace, medical and defense industries. In today’s tutorial we’ll take a look at the EBM production process, its benefits and limitations, as well as the materials and areas of application of EBM technology. Electron Beam Melting, like SLS and DMLS, belongs to the powder bed fusion family. 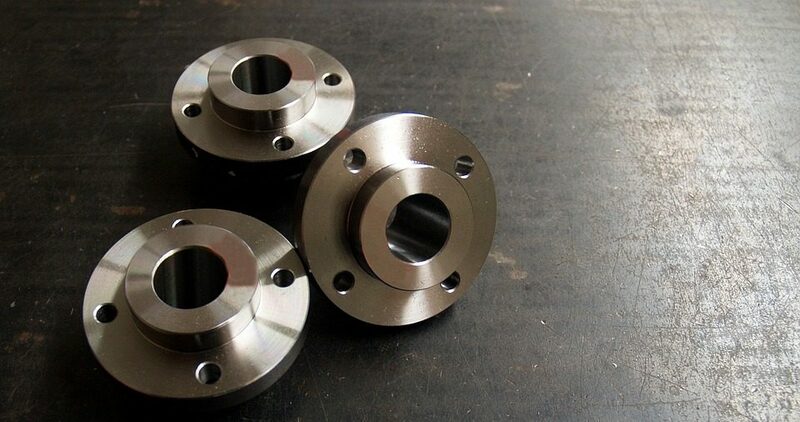 However, in contrast to other metal AM technologies, which use a laser as their heat source, EBM uses a high-power electron beam to melt layers of metal powder. The melted layers of metal powder are then fused together to create a metal part. The build plate is coated with a layer of metal powder. As the layer is preheated, the powerful electron beam selectively melts powder in the areas defined by the digital CAD model. The next layer is then deposited and the beam melts and fuses layers together. The process is repeated until the final shape of a part is achieved. After removing the excess powder, the metal part can then undergo post processing. To prevent contamination and oxidation of the powder, the printing process takes place in a vacuum environment. EBM offers a number of benefits that distinguish it from other metal AM technologies. The EBM process uses a beam several times more powerful than a laser — the main heat source used in other metal 3D printing technologies. This increased beam power — multiple electron beams are used simultaneously in the EBM process — ultimately means faster printing speeds. EBM can produce high-quality metal parts comparable to those produced with traditional manufacturing methods such as casting. Not only do the parts possess strong mechanical properties, they also typically have a high density (over 99%), thanks to the preheating process and high temperatures required during printing. Preheating the print bed also minimises residual stresses, a common issue faced with metal 3D printing, reducing the need for support structures. EBM offers minimal waste, as most of the unused powder can be recycled for future use – a particular benefit considering the substantial costs of the materials used in EBM. On the other hand, EBM parts typically have a lower level of accuracy when compared to SLM parts, since SLM printers use finer powders and thinner layers then EBM. Thicker layers can often result in a rough surface finish, and EBM parts require extensive additional post-processing to achieve a smoother surface. The choice of materials that can be used in the EBM process is rather limited; this is partly due to the fact that the process requires high-quality and expensive materials, which must also undergo thorough testing beforehand. The cost of materials along with the cost of EBM 3D printers make this technology an expensive option, suitable only for industrial applications. A limited range of metals can be used with EBM, including with titanium alloys (ideal for medical implants), cobalt chrome, steel powders, and nickel alloy 718. These materials demonstrate high strength, resistance to corrosion and top mechanical properties, which is extremely valuable in stressful applications. It is important to note that any material used in EBM must be conductive, as the process heavily relies on electrical charges. EBM is also reportedly the only commercial AM solution for manufacturing titanium aluminide (TiAl) parts. TiAl is particularly noted for its light weight, strength and heat resistance, although it is prone to cracking. The most common applications for EBM technology can be found in the medical and aerospace industries, as the technology offers an effective way of producing lightweight, complex parts. Within the medical industry, EBM can be used to produce trabecular implants and other medical implants, customised to suit the patient’s requirements. LimaCorporate, an Italian-based manufacturer of orthopaedic devices, was one of the first companies to recognise the potential of EBM technology for the orthopaedic industry. As far as aerospace is concerned, EBM is particularly useful for producing aerospace components with a substantial weight reduction. GE, for example, is already using EBM technology to 3D print turbine blades for jet engines. Although EBM is most suited to demanding industrial applications, the technology demonstrates the huge potential of metal additive manufacturing. With the ability to produce complex metal parts comparable to traditional manufacturing technologies, EBM offers an innovative solution to manufacturing small series, prototypes and even support parts using 3D printing. And as the new Arcam EBM Spectra H enters the market, it is clear that more innovations with EBM are on the horizon, expanding its uses cases to more industrial sectors.